Preheat T-Fal Ambiance Raclette on medium-high. Spread a thin layer of cream cheese on 3 tortillas. Top each with 1/3 cup (75 mL) grated cheese. Sprinkle with black beans, salsa, coriander and green onions. Spread remaining cream cheese on last 3 tortillas and press down over filling. 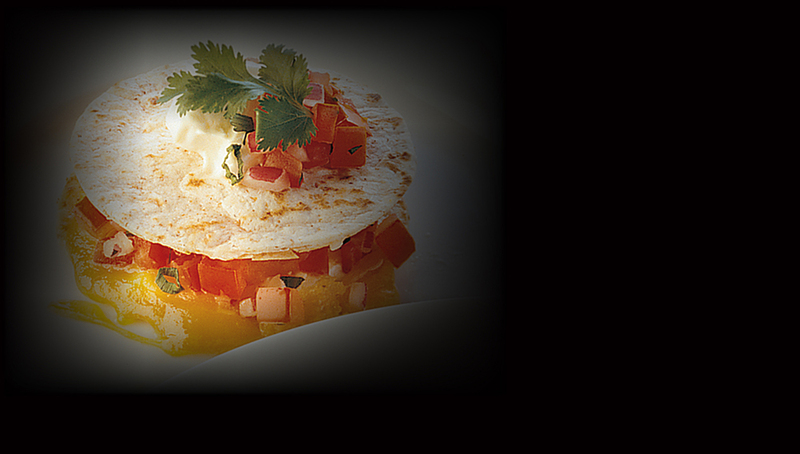 Quesadillas can be assembled up to 4 hours in advance and refrigerated until ready to cook. Lightly grease raclette grill with a little vegetable oil. Cook quesadillas for 4 to 5 minutes on each side, until they become crisp and cheese melts. Slice each quesadilla into 6 wedges. Serve with sour cream and extra salsa for dipping.